I’m a huge accessory fein, as far as jewelry goes. I love pairing necklaces and earrings, and occasionally, attempting to wear bracelets. Due to my love for accessories and my trial and error mind set, I’m usually broke, but I mean, what’s new? I stopped purchasing jewelry for a few months because money was tight but I still wanted to buy everything. So how do I find a way to wear all the jewelry I wanted but still save my money for extra college necessities, like books and margaritas? My best friend introduced me to this little thing called Rocksbox .How do I even describe this magical box? It’s inexpensive, customizable, and convenient. Okay, so I say these three little words and I’m supposed to expect you to believe me? no! Let me tell you all about it. This baby is $19 a month which is a total steal! You get high quality jewelry like Kendra Scott, Loren Hope, Gorjana, etc. You have to send the set back at the end of the month of course, but I mean do you even wear your accessories past a month? If you decide you love it and don’t want to send it back, you have the option to buy it at a discounted price exclusive for Rocksbox members. Here’s a bigger perk, you can send your box back as many times as you want throughout the month and don’t have to pay an extra fee, just the original $19. When you begin your profile you are navigated to an online quiz that will ask you all about your jewelry preferences. You can change this as many times as you’d like after you’ve taken it but the first time you do it, it is to get an idea of what you prefer. These boxes are specifically made, by your very own stylist, and with the help of your style quiz they’ll be able to get an idea of who you are and what you’d like. I suggest to leave feedback on all your sets that way they know exactly what you do and don’t like. 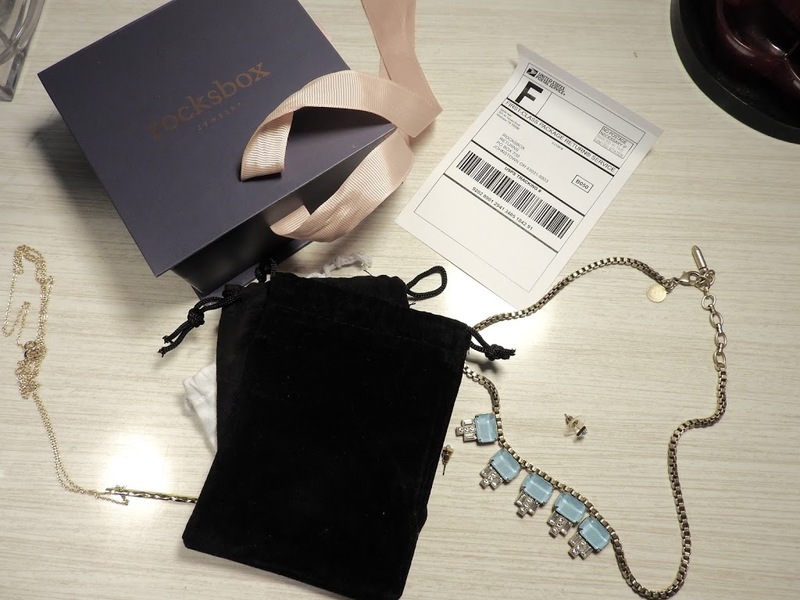 Rocksbox is the only subscription box I have actually signed myself up for. I’m always skeptical when it comes to subscription boxes because what if I don’t like them? That’s why I love the idea that I can send this jewelry back when I’m done with it and I can send it back as many times as I want throughout the month. This subscription box is also super convenient in the sense that they send you the shipping label with your box when it arrives. All you have to do is send it back in the box and packaging it came in and stick the shipping label on and bam! done. I have found adding jewelry sparks an outfit and you are correct in saying it can get pricy. This sounds like a great product and good price. This is a great idea for bridesmaids who don't want to keep their jewelry after a wedding! Never thought about that Theresa! That's definitely a way to use this service!